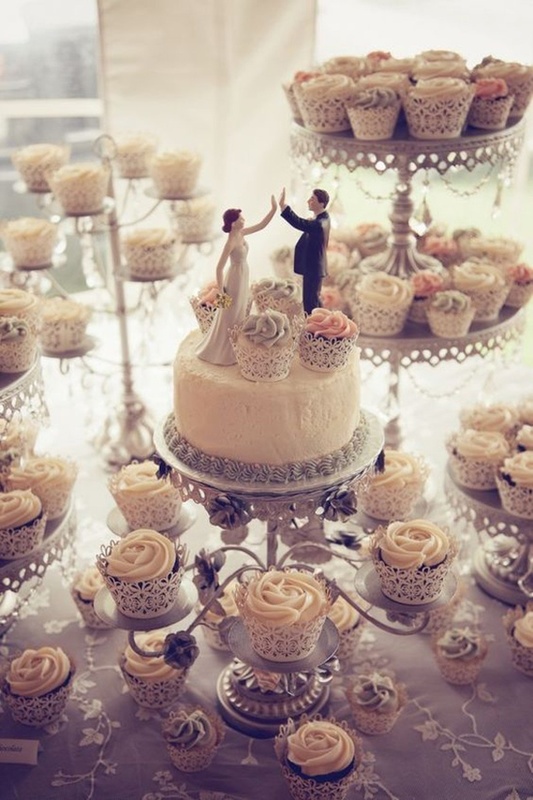 Incredibly Awesome Wedding Cakes You Would Want to Frame Than Cut! From being the most neglected to the most experimented aspect of the wedding, wedding cakes have come a long way from being a simple creamy treat to a canvas where modern couples are seen trying offbeat options. Yes, they have become a significant part of Indian wedding celebrations too! We are quick to catch up on trends now, aren’t we? Gone are the days where simple icing and fondant cake with flowers and wording ruled as the most preferred wedding cake option. Hand painted, naked, cupcake and macaroon wedding cakes have taken over and how?! These are not just a treat for your mouth, but eyes too. We bet you wouldn’t even move an inch closer to cut these beautiful creations. If you thought choosing your wedding cake would be as easy as pie. We challenge you to select one from the below mentioned choices. Indulge!